Mechatronics has evolved into a way of life in engineering practice, and it pervades virtually every aspect of the modern world. 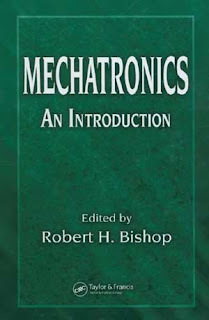 Mechatronics An Introdution by Robert H. Bishop introduces the vibrant field of mechatronics and its key elements: sensors and actuators; physical system modeling; signals and systems; computers and logic systems; and software and data acquisition. These chapters were carefully selected and organized to provide an accessible, general outline of the subject ideal for non-specialists. These book defines and organizes the key elements of mechatronics, exploring design approach, instrumentation, control systems, system interfacing, and microprocessor-based controllers and microelectronics. 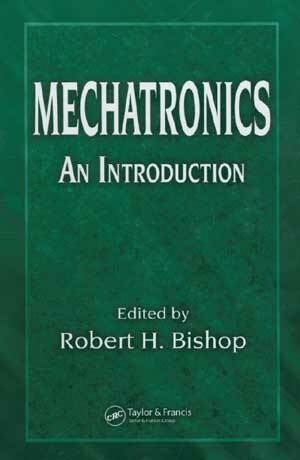 Mechatronics An Introdution by Robert H. Bishop surveys physical system modeling, introducing MEMS along with modeling and simulation. Coverage then moves to essential elements of sensors and actuators, including characteristics and fundamentals of time and frequency, followed by control systems and subsystems, logic, system interfaces, computer hardware, communication and computer networking, data acquisition, and computer-based instrumentation systems. Clear explanations and nearly 200 illustrations help bring the subject to life.